This is the digital file, directly from my computer. Here you can see the original line drawing and a test print. 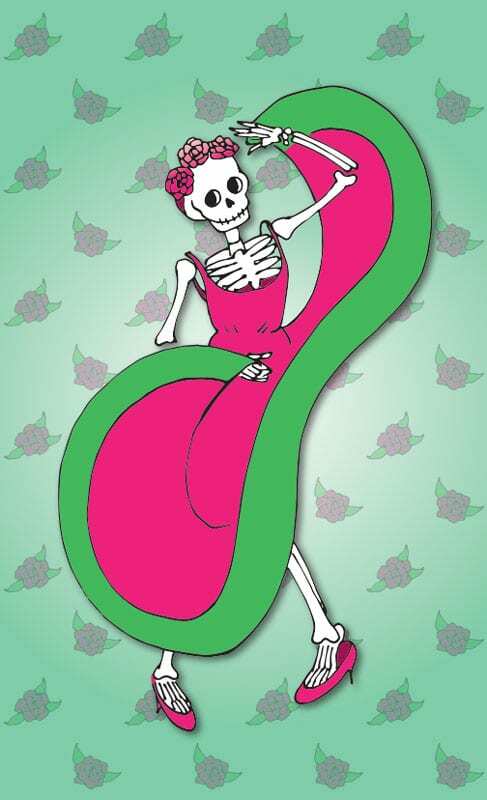 Today’s sugar skull girl is digital. I began with a line drawing from my sketchbook, scanned it, imported it to Adobe Illustrator, traced it, then filled her with frosting colors, added a pattern behind her and voila! Sugar skull deliciousness! I’m going to frame her up and bring her to the Starving Artist gallery in St. Augustine, Florida in time for this weekend. It’s fun to do art this way. It satisfies my craving for a smooth line drawing and it lets me adjust the sizes and colors with a mouse click. I can make her fit into any size frame that I have handy. Because I’m adding final touches, like the shading on her bones and glitter on her dress, each print will be a little bit different. 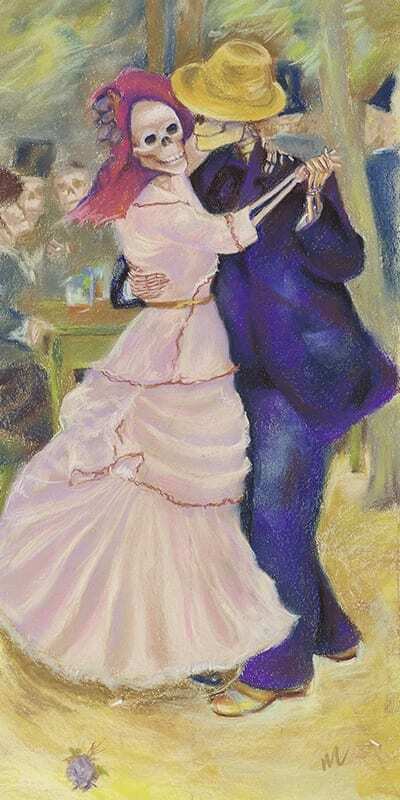 I love her bright colors and I love that she’s dancing. She makes me happy! 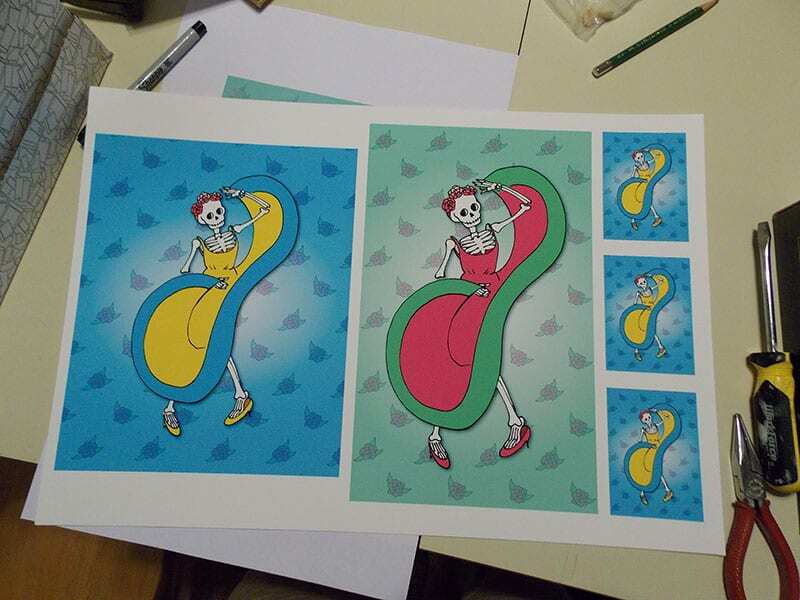 Here I’ve changed her colors and printed her out in three different sizes. 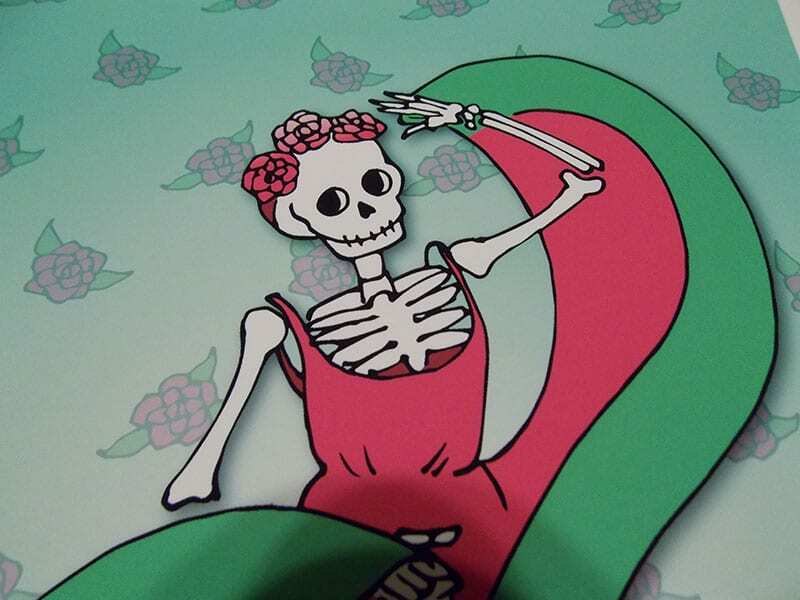 This entry was posted in A pastel a day, pen and ink, Skeleton, skeletons, Skelly dancer and tagged calavera, dia de los muertos, digital art, skeleton, sugar skull on October 14, 2015 by Marie Marfia.